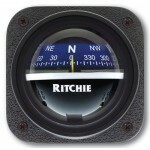 The 100 series front and top reading compasses have 3 yellow lubber lines and an apparent scale size of 100mm. 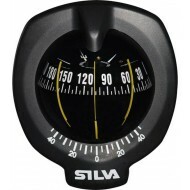 The two side view lubber lines at 45° offset allow easy reading and also allow for mounting the compass to one side of the steering position. 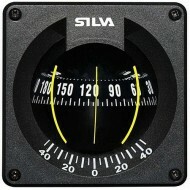 The 100P is a bulkhead mounted front read.. 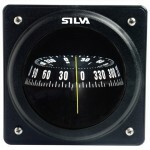 The 100B/H bulkhead mount compasses is specifically designed for sailboats and yachtsmen demanding absolute accuracy with a steady card in all conditions and accommodating high heeling angles. 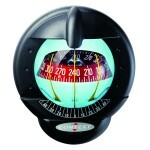 The 100B/H is equipped with a heeling angle scale and illumination. The capsule protrudes only 18mm into.. 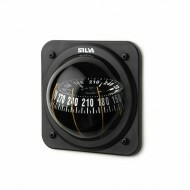 The 102B/H bulkhead mount compasses is specifically designed for sailboats and yachtsmen demanding absolute accuracy with a steady card in all conditions and accommodating high heeling angles. 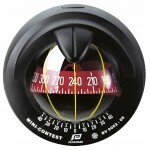 The 102B/H offers high stability with big easy to read digits The footprint of this compass matches t..